Our Goal at Fine Decks Inc. is to build a safe deck that looks great, is environmentally safe and is low in maintenance. We design, plan and build high quality outdoor structures all year around. We are here to help you make the right choices in design and materials to make sure that building the deck of your dreams comes easy. WE BUILD DECKS, PORCHES, PAVILIONS, PERGOLAS, OUTDOOR KITCHENS OR ANY OTHER OUTDOOR STRUCTURE. WE DESIGN FULL 3D RENDERINGS FOR YOUR FUTURE PROJECT. WE CREATE FULL SIZE CONSTRUCTION PLANS. WE SET UP ALL THE PAPERWORK NEEDED FOR THE PERMIT PROCESS. 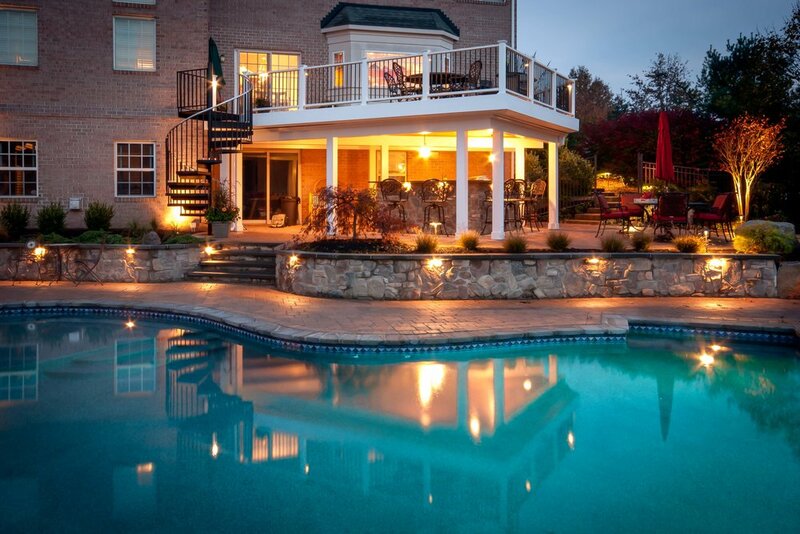 WE WORK TOGETHER WITH LANDSCAPERS AND POOL BUILDERS TO DO FULL BACKYARD OVERHAULS.